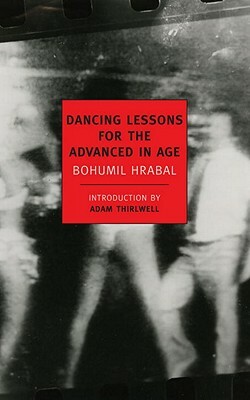 Rake, drunkard, aesthete, gossip, raconteur extraordinaire: the narrator of Bohumil Hrabal’s rambling, rambunctious masterpiece Dancing Lessons for the Advanced in Age is all these and more. Speaking to a group of sunbathing women who remind him of lovers past, this elderly roué tells the story of his life—or at least unburdens himself of a lifetime’s worth of stories. Thus we learn of amatory conquests (and humiliations), of scandals both private and public, of military adventures and domestic feuds, of what things were like “in the days of the monarchy” and how they’ve changed since. As the book tumbles restlessly forward, and the comic tone takes on darker shadings, we realize we are listening to a man talking as much out of desperation as from exuberance. Hrabal, one of the great Czech writers of the twentieth century, as well as an inveterate haunter of Prague’s pubs and football stadiums, developed a unique method which he termed “palavering,” whereby characters gab and soliloquize with abandon. Part drunken boast, part soul-rending confession, part metaphysical poem on the nature of love and time, this astonishing novel (which unfolds in a single monumental sentence) shows why he has earned the admiration of such writers as Milan Kundera, John Banville, and Louise Erdrich. Adam Thirlwell is the author of two novels, Politics and The Escape; and an essay on novels, The Delighted States. He lives in London. Michael Henry Heim is a professor of Slavic languages at the University of California, Los Angeles.